Normally keen to avoid busy sites and the hustle and bustle of anything overly commercial, I can honestly say I was more than a little anxious about a Haven holiday. But within minutes of arriving at Hafan Y Mor, which translates to Haven by the sea, just 16 miles from the pretty harbour town of Porthmadog, all my worries faded away. 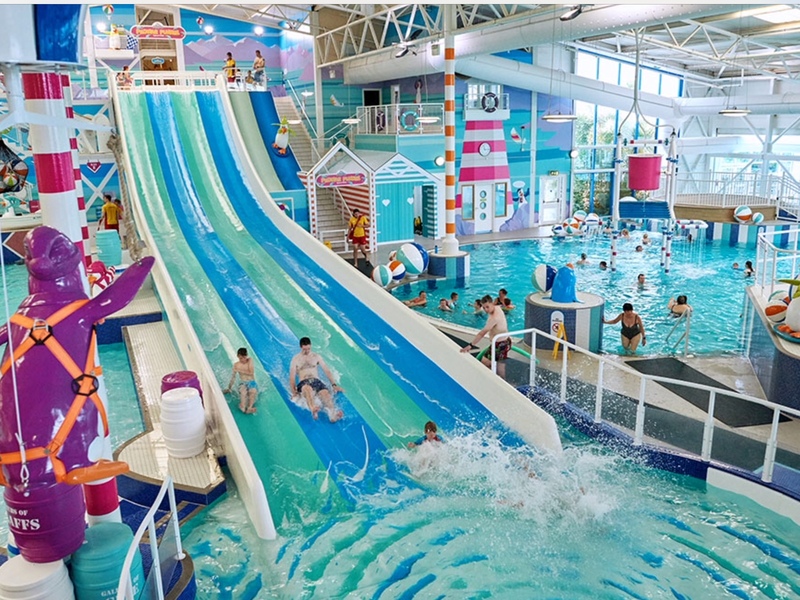 As my son, Archie, nine, started listing which activity out of the vast range on offer, he wanted to do first, my two-year-old daughter, Tilly, was almost dragging myself, and my husband, Iain, to the rather impressive recently renovated and award winning pool complex – complete with three flume slides, a lazy river, and a bubble pool. After checking into our impeccably clean and well stocked two bedroom static caravan, ensuring the wine was chilling in the fridge, off we went to explore. The well kept site is split between different adventure and sports zones, intercepted with lots of green space, a nature trail and a central village square, complete with the traditional club house and a much needed Starbucks – always a win for parents who are in need of a caffeine injection. But what really won us all over as a family was the Nature Rockz program – think forest school mixed with Ray Mears. 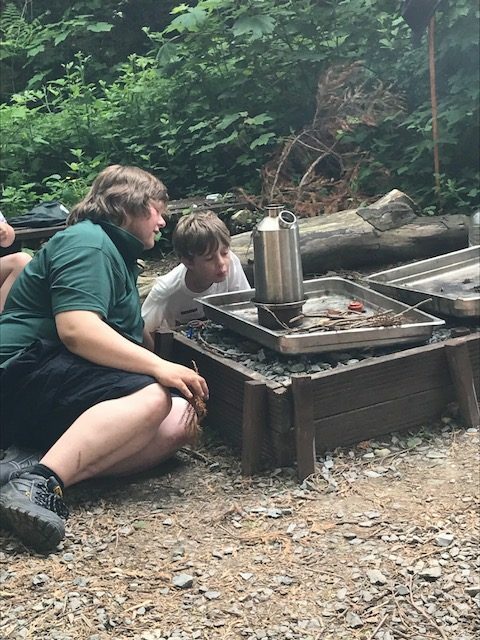 First up was making survival bracelets from para cord that once created can allegedly hold the somewhat impressive weight of 1250 lbs – we clearly didn’t try that out but Archie was suitable impressed by the figure. Next was shelter building in the heart of the on-site wood. And unlike other ‘make your own den’ experiences I have been dragged to, there was no ready-made perfectly sized logs on hand or a convenient post to pop them against. 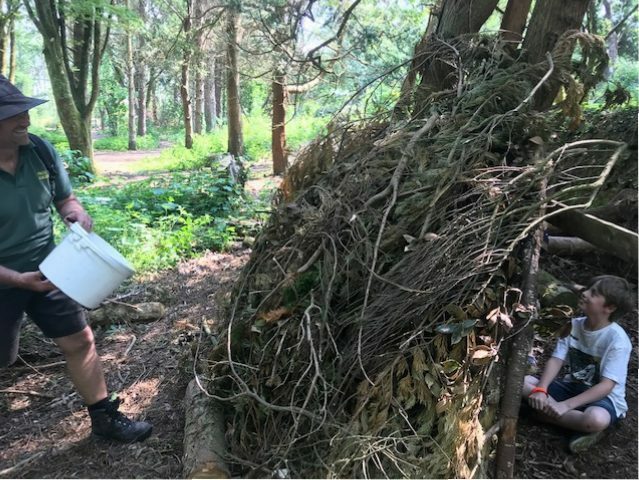 This was real hands on, go and find fallen branches, fern and bracken and make yourself a water tight structure that will keep you protected from the elements. Archie and I teamed up with another Dad and son and before I knew it, I was searching the ground to find suitable materials to create our rather extensive hideout – not that I went into competitive parent mode at all. I’d listened to the tips that big ferns were best positioned upside down so the rain flows off the and dried leaves could be used to plug any gaps. Our park rangers, David and the intrepid Paul kept a beady eye on us all, counting down the minutes until our half and hour limit was up. 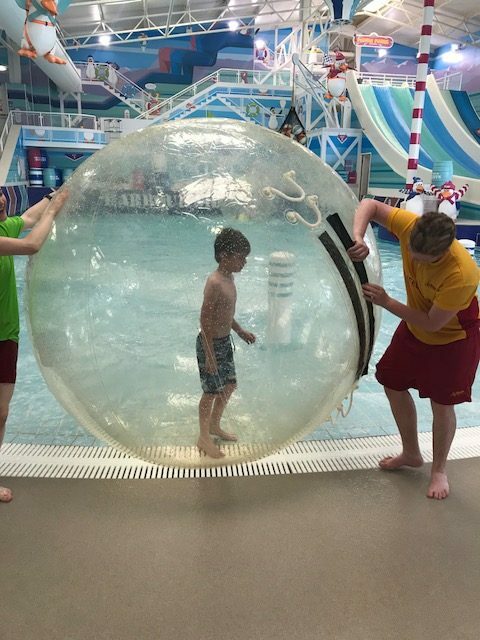 Oh the joy when Archie and his new pal had to sit in their new perfectly constructed work of art and didn’t feel a single drop when a bucket of water was thrown at our A-star construction! Hungry for more, I left husband Iain to take Tilly to one of the many well thought out toddler parks and a walk along the on site beach, while I went foraging for woodland food and learnt how to make a fire with flint and steel. The nature bug had bitten and I even gave up a relaxing evening with a glass of wine to go on a late night bat walk while my hubby chose to stay in our comfy caravan with a beer and a book. What I now don’t know about Pipistrelle bats isn’t worth knowing! These activities were second to none and I have to say give Center Parcs a real run for their money. Less squeaky clean; more Cub Scout hands on, and for those on a tight budget, won’t break the bank. 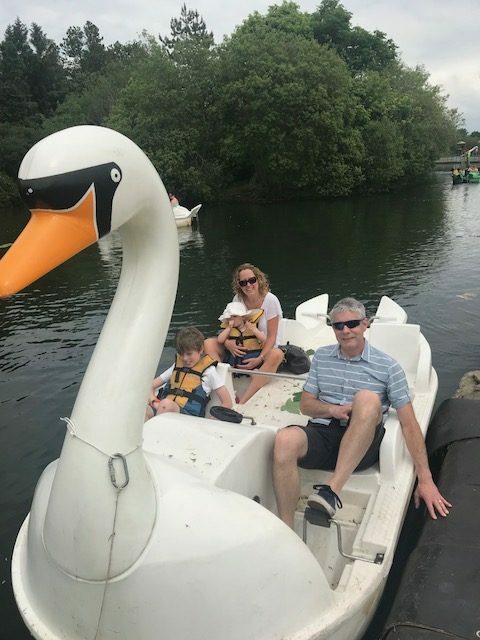 Of course we joined in the traditional archery, hiring of family style go-karts, pedaloes and several rounds of crazy golf. In fact we were spoilt for choice on how to fill our time. 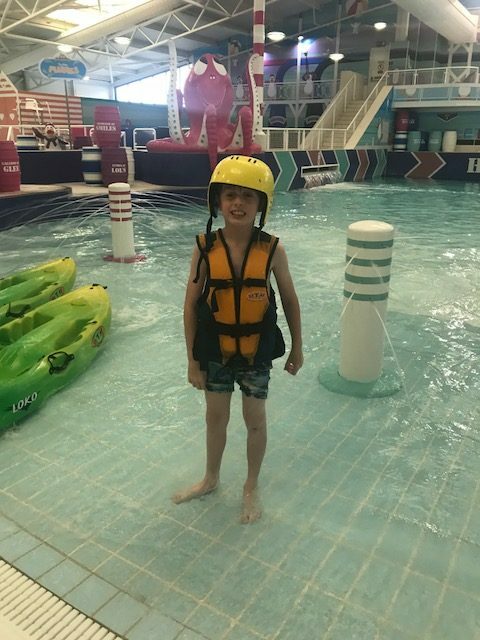 There was a high ropes course and bungee style trampolining for the more adventurous but Archie opted for Junior Segways while Tilly learnt to ride a balance bike and was left enthralled by the all singing and dancing seaside squad with their daily animated shows. We only managed to drag the kids off site twice in our four night stay. But our trip out to nearby Black Rock Sands was a gem of a find. 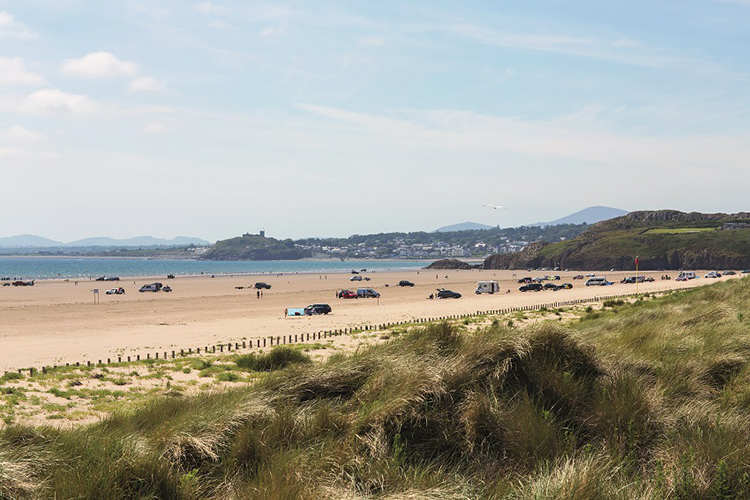 It’s miles of impeccable sandy beach as far as the eye can see is an obvious crowd puller but even on a red hot day during May half term there was dozens of remote and peaceful spots where you weren’t subject to another family suddenly pitching up next to you. All in all a fabulous midweek break that can’t fail to entertain the most energetic of kids and parents alike. Already I am being badgered by my son as to when we can go back so who knows where our next Haven holiday will take us – there’s certainly plenty of sites to choose from. Haven is offering a seven night self-catering summer holiday from £599 based on six sharing standard accommodation and includes family friendly entertainment. Haven fully appreciate pets are part of the family, which is why they have dog friendly holidays available so Fido doesn’t have to miss out on all the fun. 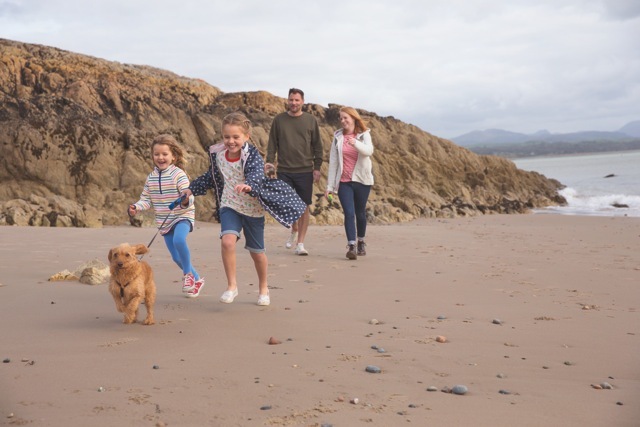 With 33 dog friendly caravan parks to choose from and a wide range of dog friendly accommodation to suit every budget, you are spoilt for choice. 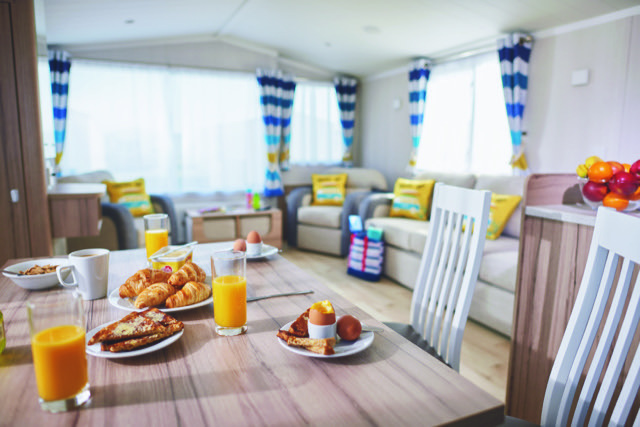 They now offer dog friendly Standard, Deluxe and Prestige caravans and Standard Chalets and Apartments are also available at some parks (including Hafan y Mor). Many of Haven’s parks also have great doggy walks and several have year round dog friendly beaches. See the list on the approved dog friendly beaches to take your four legged companion for a stroll here.